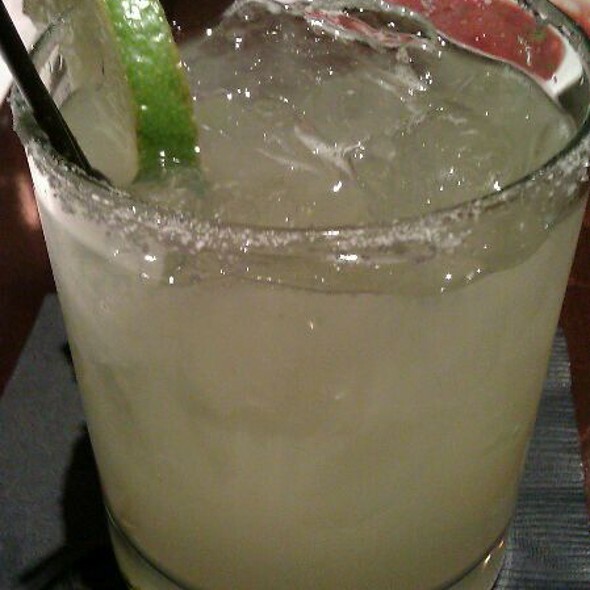 You must make reservations at least 5 minutes in advance of the time at Agave Cocina & Cantina - Redmond. We have ample free, unlimited parking on both sides of our restaurant. Adjacent to east entrance facing Safeway, Bear Creek Center or west (bar & patio) facing entrance. Let us bring the Fiesta to your home or office. Our entire menu and custom menus are available for fully catered events. We offer food, service, drinks and event planning. pick-up or delivery. Fully private space, room (with natural daylight) or buyout of entire restaurant. Small groups to 130 sit-down. AGAVE COCINA & CANTINA - MEXICAN FOOD IN REDMOND - BEAR CREEK SHOPPING CENTER Agave serves contemporary Mexican food. Hand-crafted using fresh, natural ingredients, no preservatives, trans fats or lard. Sustainable seafood, free-range, hormone-free chicken, beef, eggs. The menu offerings are rooted in "traditional Mexican food" but adjusted to today's tastes and eating styles. Made to order, organic and local when possible, seasonal,affordable and quick. Full bar, home of the Agave signature Margarita and over 160 sipping tequilas. Sauza Blue, fresh lime juice, basil, chartreuse & agave nectar. Award Winner! *Consuming raw or undercooked foods could be potentially hazardous to your health. Not all ingredients are listed in menu descriptions. Please ask your server if you have any concerns. Family brunch. Service was excellent and the food was brought out very quickly. Our first time here and it was very good Mexican food. We will go back. They have a different way of doing their combos that I love. Pick your main (taco, enchilada, etc) and then pick one of nine sides. Some I have never seen in a Mexican restaurant, like some excellent Brussels sprouts. The food was excellent as well as the service. Had never visited Agave, loved the food and wonderful salsa options. Amazing, quick service and very nice people who worked at the restaurant. Thank you for a wonderful meal and dining experience. We will return. 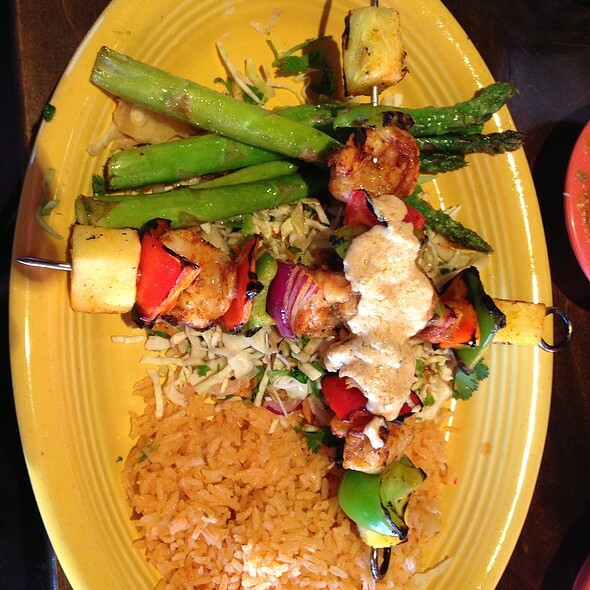 Our new favorite Go To Mexican restaurant! 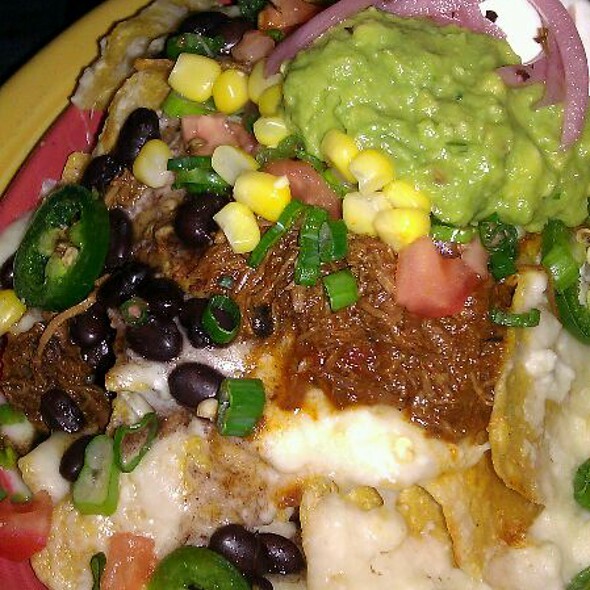 Love the Agave nachos. I love the enchiladas suiza with either ground beef or shredded chicken with sour cream, asparagus and Mexican corn. My son and his wife ordered the inside out burrito with grilled steak, and they love that one. The service was very good too. Love the Indide Out Burrito & the Grilled Street Corn! Sat outside on patio. Once sun went down heater from above kept us toasty! Great friendly, helpful service. Food was authentic with a menu for all tastes! Will return! Hostess was especially friendly and helpful. Service was friendly, attentive and accommodating. Margarita Cadillac was excellent. Food was indeed fresh and delicious, although I thought the refried beans were a little too salty. Able to get a last-minute reservation through Open Table which made me happily surprised. Will definitely recommend Agave Reataurant to others. 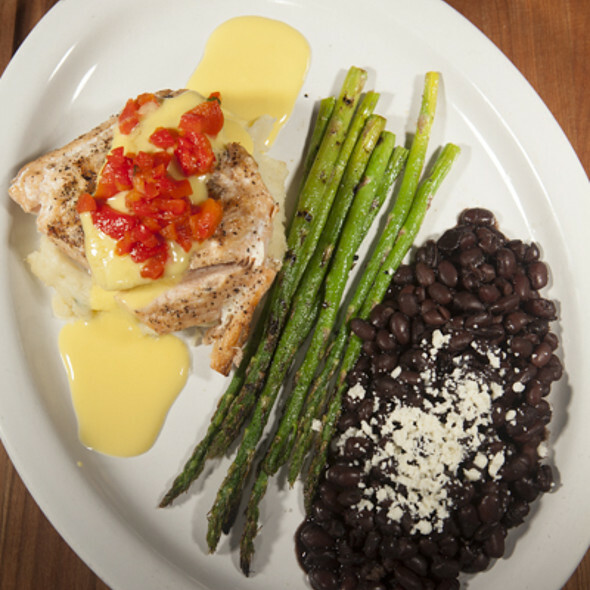 We love agave, but one of our entrees came out almost frozen. They didn’t even comp it when reported. Still will go back because they are typically good! Love the fajitas! New favorite AND BEST Mexican restaurant! This is a family dinner favorite. Always super friendly service and good food and margaritas! A great spot for family Mexican food. We had a reservation but ate a n the bar instead as it was a sunny day and it was open. Food & service was great, margaritas were awesome! They were under staffed, and it caused slow service, but the food was excellent. We had only eaten at the Kent Station location for Agave. This location is definitely much older and more tired looking. The restaurant looks old - vinyl on chairs and booths are ripped. There is much dust around the restaurant. When walking into the restroom - you can see into the kitchen. There was food all over the floor. The restrooms were dirty. The food was okay - not great. The one highlight was the three different kind of salsas that you get with the chips. I'm not sure we'd return again. I would definitely go back to the Kent Station location which is much nicer. Very bad customer service - a soup was brought at the same time as the main course and when I finished the soup the main dish was cold. And the worst margaritas I ever had. Loved the shredded chicken dishes, but not the shredded beef dishes. Service was very good. its the first time visiting this restaurant and my initial view of the place was that it looked like to could do with a makeover. The service was very good (although it was a mid week early table) and the food was delicious with large portions. The cocktails I ordered were fantastic and in all it was a great evening. We always enjoy the people, service and food. It's our go-to place! They did not really know about the Open Table Reservation; not a problem as there was ample seating. As always, Agave Cocina and Cantina exceed expectations The quality of the food is always exceptional and the service is courteous and prompt. Our table of 6 was greeted with warmth and Elva consistently has known how to make each person feel special. She is a true gem in this restaurant. Highly recommend the grilled chimichurri fish tacos prepared with handmade tortillas. Delicious! Best Mexican food in the area. Good service. Nice atmosphere. Food came hot and was just the right portions. Very tasty margerita and a well stocked bar. We will definately return. This was our first time at the restaurant and read about it in the Redmond Reporter. If you are looking for a non chain Mexican eatery, try this one. I was a bit disappointed but only because I had higher expectations. This is a decent family Mexican restaurant. The staff was great and all-in-all the food was too. This location was asthetically great except the bar seemed lively but patio is adjacent to parking lot. Environment and food was a bit greasy for my taste. Been to other locations with different results. Mexican food is my passion. In my free time I research authentic Mexican cooking, I almost exclusively eat at Mexican restaurants. To say that I'm a Mexican food fanatic is an understatement. That said, I was very impressed with my first visit to Agave. The service was prompt, the food was inventive yet authentic, and the atmosphere was wonderful. Everyone enjoyed their lunch immensely! I am definitely a fan and plan on returning on a regular basis. This place rocks! Everything I have had here is wonderful: guacamole, cheese dip, nachos, tortilla soup, salmon salad, steak salad, child rellenos, mole, fajitas, carne asada... it's all good! My stand by is the shredded beef enchilada with refried beans and salad. They do a great job with these. I usually order this unless I feel too guilty, then I go for a salad. My boyfriend had the steak fajitas and loved them. I also ordered a prickly pear lemonade. Tasted artificial - not really a fan. We usually come here twice a month. Don't miss it! Best Mexican in Redmond for sure! We were initially impressed with the complimentary corn chips and freshly made dips. The main meals however were comparatively tasteless and disappointing. The drinks were very expensive. We will not be back. Great place to have dinner, it is comfortable but can get loud at times. Even with a reservation, we waited another 15-20 minutes. We were charged for a drink that we ordered but did not receive. Went in for Sunday brunch on mother's day. The brunch menu is fine but the food prep wasn't great. We were a party of 4. Two people ordered 'eggs over easy' and 'lightly poached eggs'. Both came out with the yolks completely solid. Other than that it was OK (nothing special). Service was good. 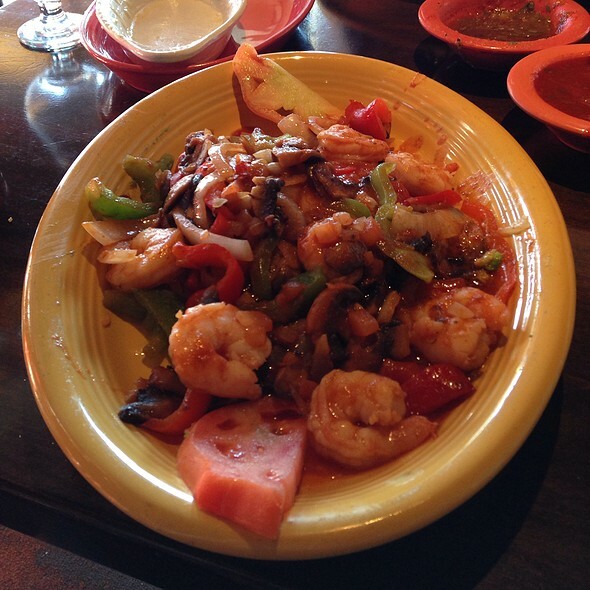 There are so many great Mexican restaurant options in the area we probably won't go back. If we do I'd like to see a little more attention to detail in the kitchen. The service and food were excellent. It was crowded and a bit noisy but it was Cinco De Mayo and that's expected. I would recommend Agave because the food is authentic!! Cozy ambiance with good choice of authentic Mexican food. Wait staffs were very friendly! Food is OK. Drink was OK. Not the best I have had. Noise level was not bad but not quiet either. I took my adult kids here for dinner before going to see Luzia at Marymoor Park. We had reservations and I was glad because this place was hopping! The Sangria was good and my daughter had the Chica Margarita which she said was terrific. The food was plentiful and served promptly and hot. The three salsas that were served with the bottomless chip basket were a nice treat. Great food and service. Went for our anniversary and had a great time. Cocktail were good and good value. service was outstanding for the amount of customers at tables, food was excellent, not rushed as waiting line out the door.